The IFRS framework gives detailed guidance on a number of issues to do with key accounting policies and as an accountant, reporting under IFRS, you need to be clear on how that guidance affects your reporting. what to do when events affect the financial statements after they have been finalised and related party transactions. •	What are the objectives and scope of IAS 8? •	What are the key definitions included in IAS 8? •	What does the Standard say about the selection of accounting policies? 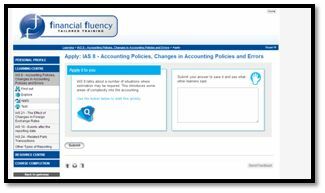 •	How should changes in accounting policies be dealt with? •	What disclosures are required about changes in accounting policies? •	How do I treat changes in accounting estimates? •	How should errors be dealt with? •	What are the objectives and scope of IAS 21? 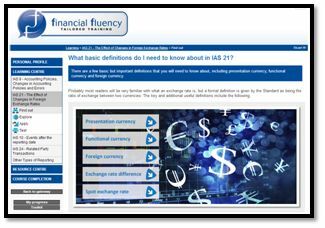 •	What basic definitions do I need to know about in IAS 21? •	What about the functional currency of foreign operations? 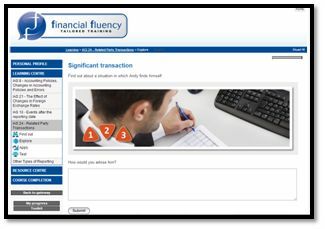 •	What is the accounting approach required when dealing with the functional currency? •	How do I deal with any exchange differences that might arise? •	How do I deal with translation to the presentational currency? •	What are the objectives and scope of IAS 10? •	What important definitions do I need to know about? •	What are some examples of an adjusting event? •	What kind of non-adjusting events are relevant? •	What about preparing the financial statements on a going concern basis? •	What other disclosures are required? •	What are the objectives and scope of IAS 24? •	Who is a “related party”? •	What is a related party transaction? •	What are the disclosure requirements relating to related parties? •	What must be disclosed if there have been related party transactions? •	What is the core principle and scope of IFRS 8 on Operating Segments? •	What are “operating segments” and “reportable segments”? •	What is said about disclosures in the Standard? •	What are the objectives and scope of IAS 34? •	What are the key definitions included in IAS 34? •	What are the minimum requirements for a condensed set of financial statements? 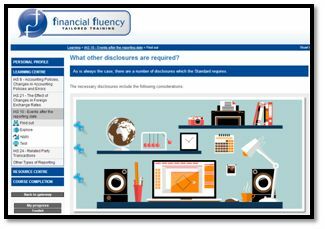 •	What disclosures are required in the interim financial statements? •	What are the objectives and scope of IAS 33 on Earnings per Share? •	What are the basic measurements, calculations and disclosures related to EPS?